Scotland – a destination for every season and all ages. A beautiful and timeless part of the Great British isles which has this year reportedly attracted more visitors than ever before. For us this news is no surprise – wild scenery, a rich heritage and vibrant culture are just a few of the reasons we enjoy inviting guests from around the world to come and explore this wee country with a big heart. Every traveller is different and what makes for a great holiday will differ too. 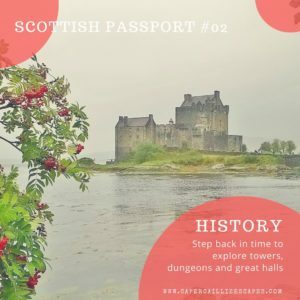 For some, a visit to Scotland is about exploring ancestral routes, for others it’s about an adventure somewhere new or ticking off a ‘bucket-list’ item. This is why here at Capercaillie Escapes we love to start from scratch and customise each of our travel itineraries to match the unique preferences of our customers. This is both great fun, but also challenging and keeps us on our toes. Whilst some people know exactly what they want from their holiday, others love to be inspired and have new ideas to put on the table. With fabulous attractions, themes and experiences across the country what better way to explore Scotland than on a tailor-made tour combining these highlights. Most of our travellers like to self-drive, some prefer to enjoy public transport and others prefer a fully escorted experience. Whichever way you choose to travel guests are well supported with uniquely customised guide books for reference throughout their tour. 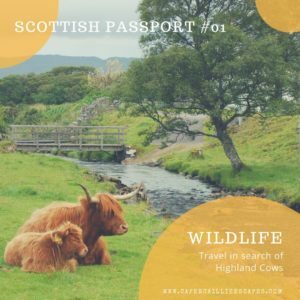 With so many travel experiences in Scotland we will be starting to share regular local highlights through our Scottish Passport series. With these ideas at hand we can help you build your own unique itinerary with the options which appeal to you. 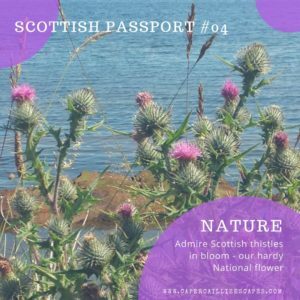 Keep an eye out on our Facebook and Instagram pages every Friday for the next stamp in our Scottish Passport. A sneak preview of the first few stamps for your Scottish Passport below. You can join us and share your favourite places online too by using the hashtag #scottishpassport. 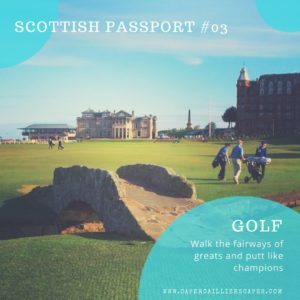 From Scottish nature, music, festivals, food and drink, wildlife, architecture, film and TV, dance, history, country sports and superb scenery, we will aim to take you on a journey to the very best of Scotland. Every so often we will be sending out a ‘Wish you were here!’ postcard too for a more in-depth look at certain destinations with feedback from our recent guests too. In the meantime if you have any questions or would like to make a head-start with planning your adventure for 2018 then please do not hesitate to get in touch and we will be delighted to start building your escape.